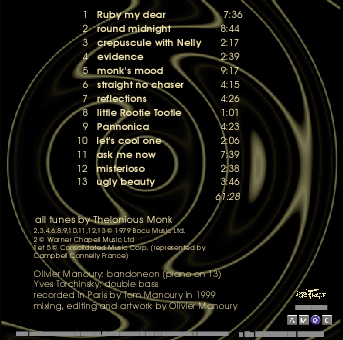 BANDO MONK is a premiere in many ways.
. This association is not so surrealistic as it may seem. It comes, on one hand, from Olivier Manoury's true passion of for the Be Bop's high priest and, on the other hand from a perfect adequacy of the instrument to this repertoire. 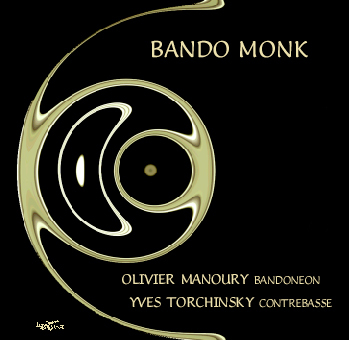 The bandonion, symbol instrument of tango music, has not yet unveiled yet all its mysteries, its chiaroscuro sound and large harmonic range enable an in depth interpretation of Monkís world. Notes donít die out, basses are long and dissonances are merciless. It eventually seems an ideal vehicle for exploring this deep and mysterious galaxy. 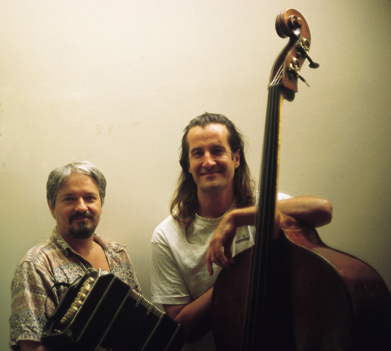 Being first of all a Tango musician Olivier Manoury cannot hide, in his phrasing and in the way he harmonizes some of the tunes, the influence of such Argentinean tango masters like Anibal Troilo and Astor Piazzolla.